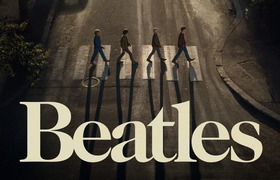 Magne has recruited up-and-coming Norwegian band Hvitmalt Gjerde to record some of the music for the upcoming Beatles movie. Next week they’re going to London to do a session together at Abbey Road studios. Magne revealed this at the by:Larm festival in Oslo yesterday, where he was interviewed about the movie together with musical supervisor Johan Husvik. “Hvitmalt Gjerde has definitely got a clear and focused 60s sound already. I’ll try to keep the score song-based and will fight hard to give the movie a distinct character. 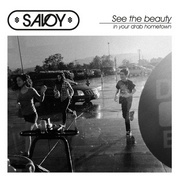 I’m actually finding it a bit difficult to create this kind of music, which is supposed to be very underscoring in a way. But my goal is still to give the movie its own, defined 60s universe based on my ideas”, Magne said, according to Gaffa.com. He hopes the surf-rockers in Hvitmalt Gjerde can add a youthful energy to the songs. “The energy was one of the most important aspects of The Beatles, and hard to recreate”, Magne told Dagsavisen. Magne seems reluctant to release the score on an album, but it may be made available online through his partnership with the streaming service Wimp. A teaser for the movie, which premieres on August 29th, can be seen on YouTube. 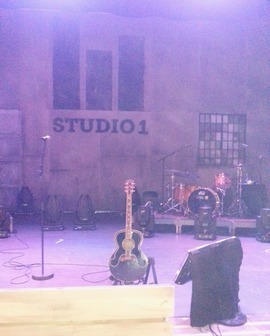 Morten performed seven songs at NRK’s studio 1 in Oslo last night, for an audience of around 200 people. The set included three songs from the new album that we haven’t heard before. They were actually so fresh that the band only heard them for the first time two days ago, Morten told the audience. Morten was in a great mood, very relaxed and making jokes on stage, while the new songs sounded like something off “Wild Seed” – only better. The vocal performance was excellent. All this according to a fan who attended the show. The band was the same he used at Spellemannprisen last month, except for a new bassist. In addition, “Brother” and “Do You Remember Me” were performed twice, in order to get the best possible shots for TV. The interview segments were apparently done on Sunday. NRK producer Stig Karlsen has posted a photo from the filming on Instagram. The 30-minute show will air April 9th on NRK2, as part of the third season of the concert series Studio 1. This will coincide nicely with the album release, which is now confirmed to be April 11th. Update: A photo gallery from the concert has now been posted on Studio 1’s Facebook page. Judging from the photos the new bassist seems to be Lars Danielsson from Denmark, who plays together with Per Lindvall in the band StudioTan and various other projects. 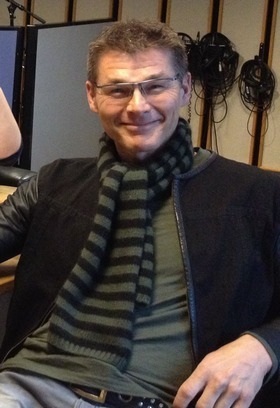 Morten did another round of radio promotion today, which included P4s Radiofrokost, NRK P1’s Nitimen and Radio 102. In addition, nine brand new promotional photos from the recent Mexico photo shoot have been posted on mlk.com. They were taken between 30 January – 1 February. “I can understand you saying that, because that’s also our own experience. We gradually started to split up and do individual interviews, partly because there was such a huge amount of promotion that needed to be done. But also because we came across better that way. But you have a point. (Pause) I can’t say exactly why that is, but we have spent so much time together, done so many things together and faced a lot of intense situations. And it’s a challenge to sit there and be interviewed about something that triggered you [in the studio] six months ago, back at the moment of creation, when you were riding that wave. So you’re interviewed about one thing, while your mind is in a different place completely. And the process of repeating yourself in interviews, plugging something; a-ha was never any good at that. Explaining who we are, what we are and what we stand for; selling that to the media was never one of our talents”, Morten said. 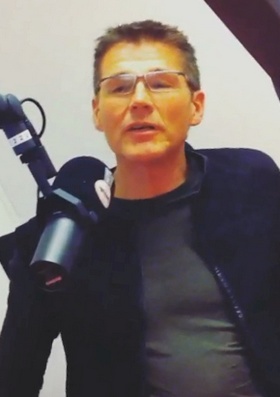 Morten also did an interview with Radio Norge yesterday, which was broadcast today. A small video clip from that interview has been posted on Instagram. Morten will perform at this year’s Tysnesfest, which is a festival held at Tysnes in Hordaland, Norway. The festival is held from 9 – 13 July, but the exact date for Morten’s concert is not yet known. Festivalpasses are available at billettservice.no. Update: The concert date is July 12th. “I’m not sure about the quality of this water”, Morten said afterwards. Morten was in Los Angeles last week, to do a music video for “Brother”. The video is directed by Harald Zwart, who previously did the a-ha videos for “Velvet” (2000) and “Forever Not Yours” (2002). VGTV has a video report from the set at Ernest E. Debs Regional Park, which can be seen here (at 3:50). Zwart drenched Morten in water in both of the previous a-ha videos, and “Brother” is no exception. Wearing a wetsuit, Morten had to spend hours floating in what appears to be…uhm…a manmade lake. “Harald is not interested in my body. It’s only the area from the neck up that counts now”, Morten jokingly tells VG. “If you don’t make it challenging and exciting on the set, it won’t be an exciting video. Harket is sporty to be doing this. 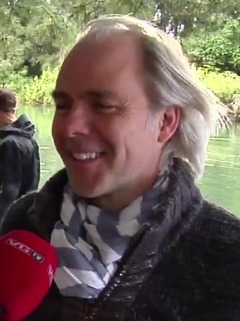 It’s cold and difficult to be floating in the water for hours, while pretending to sing”, Harald Zwart says. “I’m really enjoying myself at the moment, and I’m looking forward to getting started and playing live with the band”, Morten tells VG. Prior to the music video shoot in LA, Morten and his team appears to have done a week-long photo shoot on the Caribbean Coast of Mexico. Make-up artist Kelly Thorpe has posted some info about this on Twitter and Instagram. Morten will perform at the Trollrock Festival at Beitostølen on July 26th, the festival announced on its website today. Tickets are available at billettservice.no. This is the fourth Norwegian summer concert to be announced, and there may still be more to come. According to Morten’s new booking agency JS Artist, he will also do additional concerts and festivals in other European countries this summer. 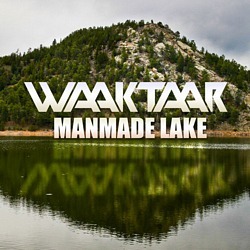 Paul’s new song is called “Manmade Lake” and premiered on a-ha.com this afternoon. 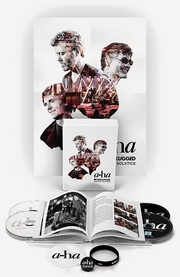 The song, which was originally recorded by a-ha in a different version during the Foot Of The Mountain sessions in 2008-09, is released as Waaktaar and marks the first time Paul releases something under his own name outside of Savoy. Listen to the song and read the lyrics on a-ha.com and Soundcloud! Paul also has a new official page on Facebook. 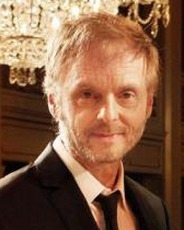 “Paul Waaktaar-Savoy is about to break the silence: he will be sharing a new track via http://www.a-ha.com on Saturday 8 February.